Who's the CLEVEREST strikers you have seen ? Discussion in 'General Worldwide Football Discussion' started by ChrisHTFC, Dec 21, 2018. It's not about who finishes most, it's about who had the brains to have the best movement or to hit the ball with whatever part of their foot necessary to score. Someone who's been missed by lot I think was a Brazilian forward called Romario. He scored great goal from about 30 yards out in the 1994 World Cup in the USA cos he had the brains to just try and hit it straight without any spin on ball by hitting it with his toecaps. Another great player for hitting ball with any Part of foot necessary to score was Ruud Van Nistillroy. Kevin Keegan was a clever striker too cos he used TO jump up in the Air slightly if necessary to hit the top of the ball to make the ball spin downwards toward goal. Few players I've seen have the brains to do that. And for movement Henry was very clever. But because of his disgusting scooping the ball back in with his hand Like pass with hand for France to score against Republic of Ireland to qualify for world cup instead of Republic of Ireland he doesn't deserve the respect for it I don't think. Cheating when TO THAT extent or too often means in my book even great strikers don't then deserve the respect for it. Pure movement, instinct, response and positioning...? All-time...? Der Bomber, Gerd Muller. Premier League era history? Perhaps Ruud van Nistelrooy. When everyone saw VVD take a shot at goal the whole of Anfield groaned as the ball ballooned into the heavens. Fans sitting in the Kop hissed in frustration, even Virgil van Dijk turned his back on goal in disgust. Klopp was seen gesticulating into the air, then pounding the floor in anger. Everton’s defenders winked at eachother, thinking they’d secured a point. 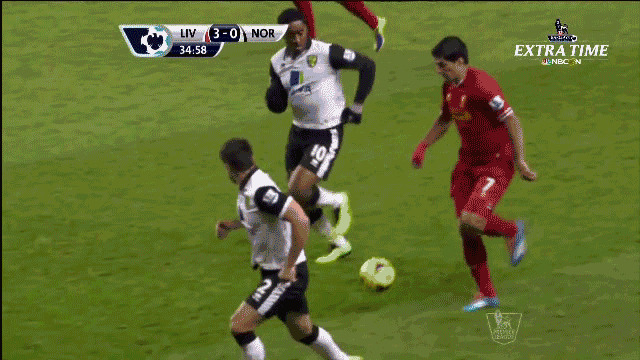 All of Liverpool’s players looked down and began their walk back to their own half... except one man! Probably the most stunning example of predatory instinct and goalscoring reactions we are likely to see this season. Machida, Ollie, The Valiant and 6 others like this. Didn't Mikael Forselll take exams. Got to be him. Good choice, @Joga bonito . I've never seen anyone better when it comes to pure instinct in front of the goal. Gerd "der Bomber" Müller. Legend. Sad to hear about his Alzheimer Disease. FranniesTache and Joga bonito like this. Didn't know about that that's really sad, is it linked to heading the ball? There was a documentary a few years back here where Shearer met a lot of ex pro's who'd developed it in later life and there was an argument that it could be linked to heading a football. I guess back then though the balls were a lot heavier, anyone who had the "joy" of being hit by a wet Mitre Pro would know all about the weight of them. Do they still make Mitre balls? I got one when I was four, still had it when I was 15 before it finally went pear shaped. In September 2015, Watmore graduated with a first-class honours degree in Economics from Newcastle University, having switched to the institution from the University of Manchester when he moved to Sunderland. No love for Sheringham or Bebeto? 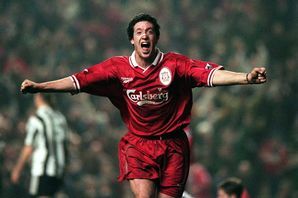 Anyone who scores the winner against Everton is a legend. Always finding the right space to be when the ball comes into the box. Definitely Bergkamp, if we’re classing him as a striker?